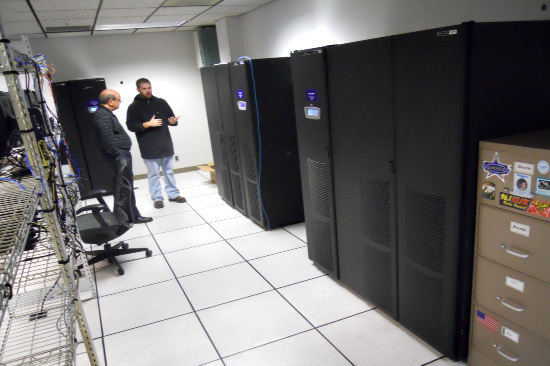 Data centers rely on their UPS battery to keep their infrastructure up and running. Implementing uninterruptible power supplies with a good, reliable, long-lasting UPS battery is an expensive endeavor but one that is more than worthwhile if the power supply does what it is supposed to and provides protection. We have discussed UPS system TCO in the past, and it is important to evaluate TCO when determining what Uninterruptible Power Supply system to implement but TCO is only accurate when you take life-extending measures to keep your Uninterruptible Power Supply system running as it should, for as long as possible. A neglected backup power source, or one that is not properly implemented, may have a dramatically reduced life which is frustrating and costly. It is important that a data center manager make prolonging the life of its backup power supply battery a priority so that investment is maximized and power is properly protected. Below are some tips to prolong the life of your battery without jeopardizing the uptime of your facility, so that you can have peace of mind that you facility is covered and you are maximizing the investment you have made. This is often where mistake #1 occurs. It is important to consider total cost of ownership when choosing the right backup power system and power unit for your data facility but total cost of ownership is not necessarily the full picture. Some high-rate discharge batteries have a shorter lifespan so if a longer lifespan is a high priority it may be best to opt for a different kind of UPS battery. A flooded or wet cell option will cost more than a VLRA battery but it will be more reliable and have a longer lifespan. With a good picture of your data center’s specific needs, and a proper analysis of TCO you can narrow in on the proper continuous power unit to provide reliability and long lifespan within your budget. And, once you have chosen the correct one, make sure it is installed properly. An incorrectly installed backup power battery will often have a shorter lifespan. If there is one thing that might make the biggest difference in prolonging the life of a UPS battery it is maintenance. Maintenance must be performed routinely according to a pre-determined schedule so that you are certain your backup power supply is not being neglected. They are very sensitive to temperature and so it is important to have a monitoring system in place that alerts you if the temperature fluctuates outside of a certain range (keep it as close to 75 – 77 degrees Fahrenheit as possible). By maintaining the correct temperature you can significantly prolong it’s life. While automated monitoring of certain factors is important, a routine visual inspection should be part of your maintenance schedule as well because you can look for obvious damage such as loose intercell connections, damaged post seals, corrosion or fires. A battery is still functioning and your UPS is still doing its job, sure it may be low on life, but it is still working so why waste it, right? It is critical that you do not push your backup power battery beyond its capacity or you greatly risk having no backup in the event of a power failure. You should never use it beyond 80% of its rate capacity. Once it hits 80% it will begin to deteriorate more rapidly, putting your data center at risk. For this reason, it is imperative you not exceed a Uninterruptible Power Supply battery’s capacity. This entry was posted in Data Center Battery, data center equipment, Data Center Infrastructure Management, data center maintenance, DCIM, Uninterruptible Power Supply, UPS Maintenance and tagged computer room maintenance, data center equipment, data center maintenance, Emergency Power Systems, Uninterruptible Power Supply, Uninterruptible Power Systems, UPS, UPS Batteries, UPS maintenance, UPS Systems. Bookmark the permalink.